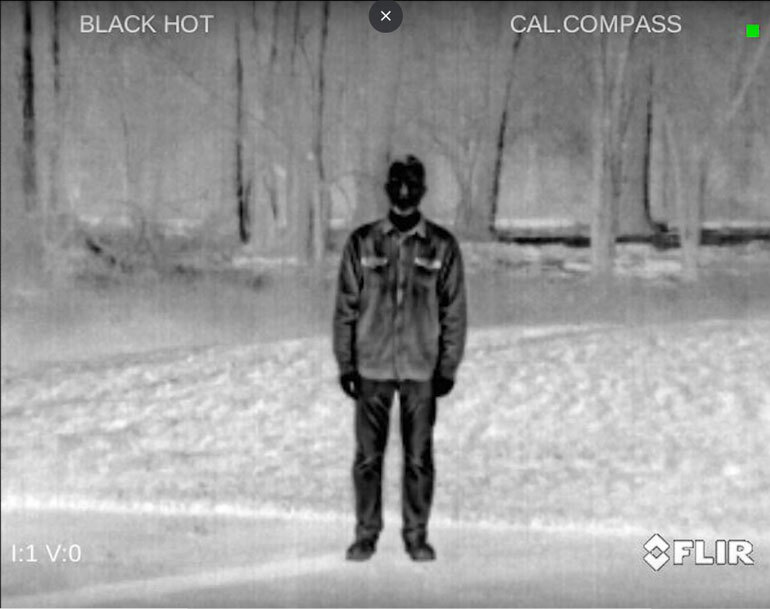 Thermal scopes evolve much like a computer or cell phone. 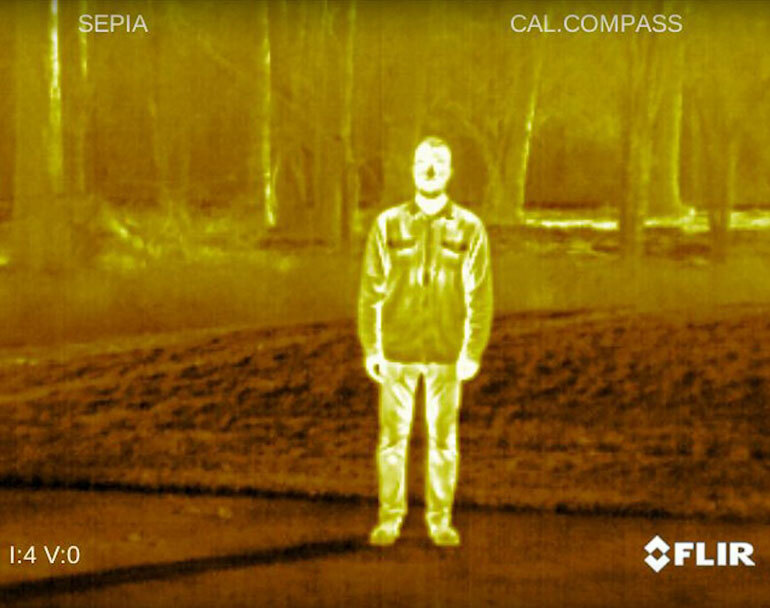 At a recent FLIR Systems, Inc. media event, one of its employees highlighted just how significant the field of thermal optics has improved over the last 10 years. 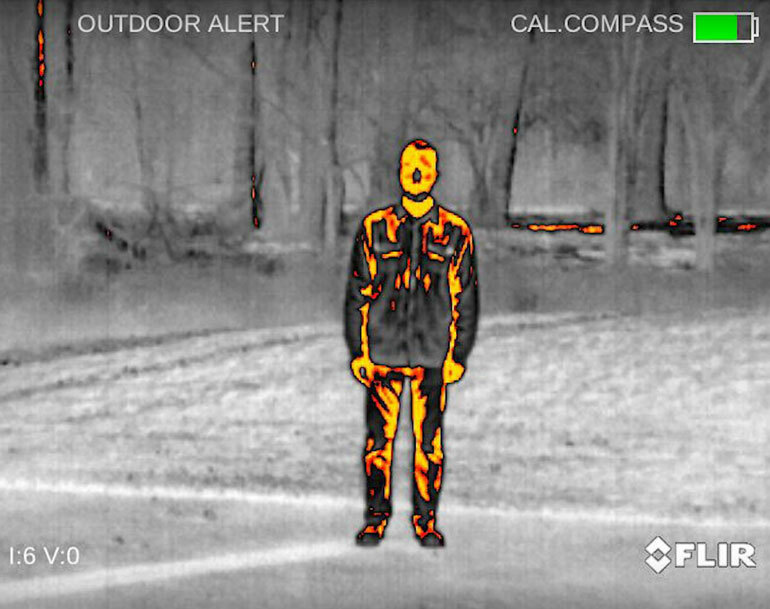 He pointed out that the FLIR One (a cell phone attachment that retails for $200) had better capability than an old thermal riflescope that cost $15,000 only a decade prior. That quickly got my, and other attendees, attention. 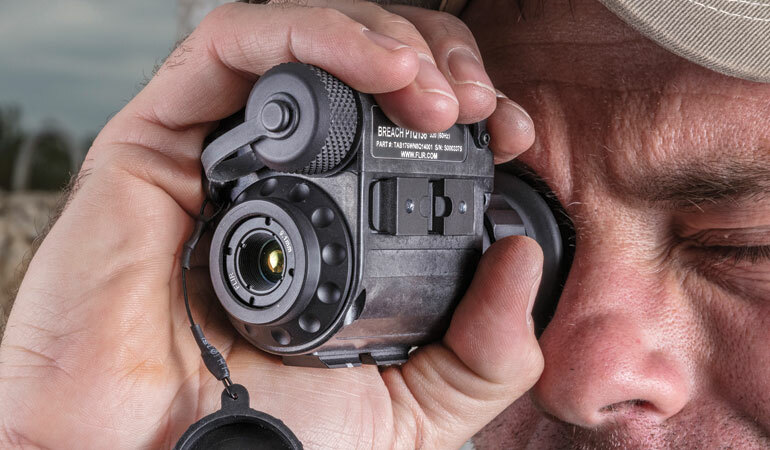 FLIR System’s latest thermal monocular designed for both law enforcement and civilian use is the Breach PTQ136. 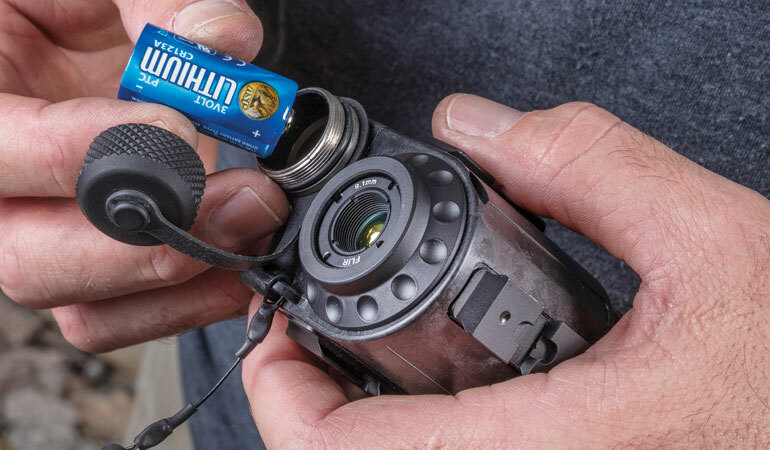 The Breach is one of the company’s smallest and lightest handheld or helmet-mounted thermal device. 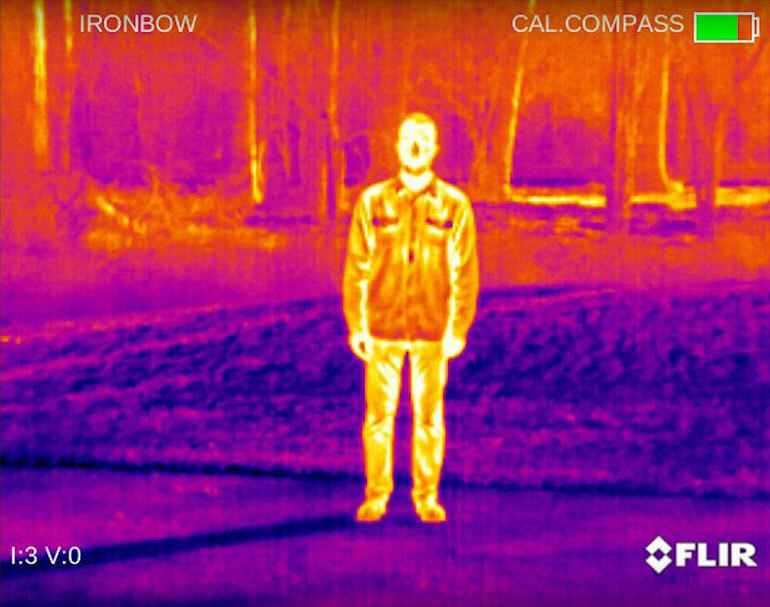 The infra-red (IR) unit features FLIR’s latest circuitry featuring 12-micron pixels that give the unit its excellent resolution. Looking through a thermal used to yield blobs recognizable only by their general shape. Now, the Breach allows the user to identify people by body type, haircut, to an extent, facial features. The resolution is simply incredible. During the event, I used the Breach to locate small stuffed animals that had handwarmers stuffed inside. In a daylight exercise, even though the stuffed animals were hidden in trees and bushes, they were still easy to locate. Finding them with the naked eye would have been nearly impossible. However, nighttime is where the Breach really shines, especially when compared to traditional night-vision systems (image intensifiers). Night vision goggles (NVGs) haven’t evolved very rapidly and will never be much cheaper than they are now. 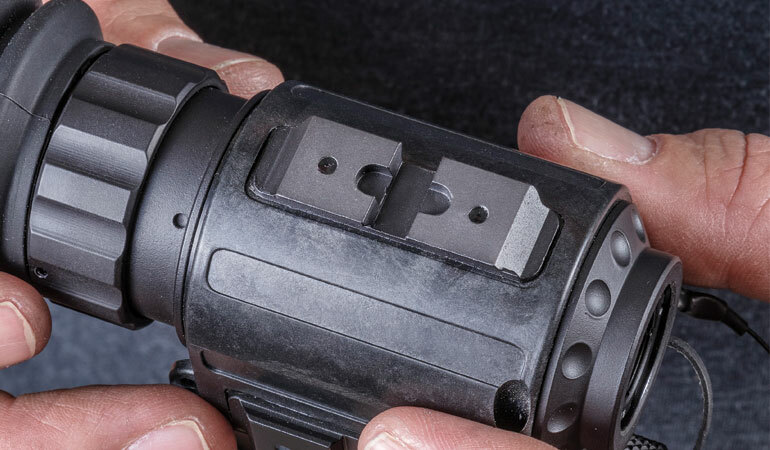 NVGs utilize image intensifier tubes, whose manufacture is an extremely costly and complicated process. NVGs have always been expensive and will remain so for the foreseeable future. 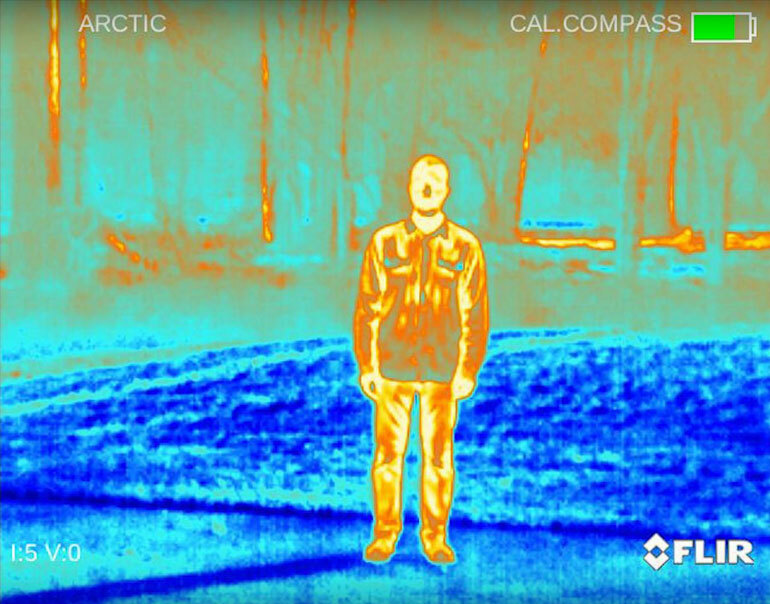 Thermals, on the other hand, use sensors and circuitry and improve rapidly. So, it doesn’t take a ton of money to get a lot of performance out of a thermal in this day and age. Where the Breach is untouchable is when looking for animals hidden in vegetation or shadows. Whether they have two legs or four, every critter gives off heat that is impossible to hide. Heat is a form of long-wave radiation that penetrates smoke and shadow like neither exists. NVGs cannot make the same claim. 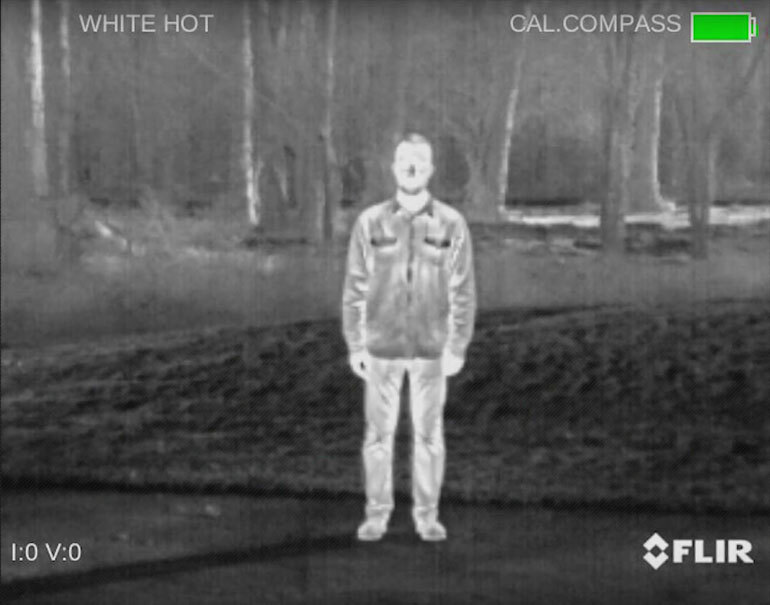 NVGs give the user the ability to read signs and recognize faces, but only if there is enough ambient light to do so. They are, after all, image intensifiers. If there is no illumination to intensify, NVGs either need another illumination source or they won’t work very well. The Breach starts out at $2,500, which is far from cheap but not too bad considering what good thermals cost historically. For that price, you get 90 minutes of battery life, a 60-hertz 320x256 VOx Microbolometer and the ability to record stills and video at the push of a button. There are even seven different color palettes for displaying heat signatures. All of that performance comes in a package that weighs just a hair over 7 ounces. For me, the ideal application for the Breach is helmet-mounted in a Red Queen Effect (RQE) Universal Bridge helmet mount. 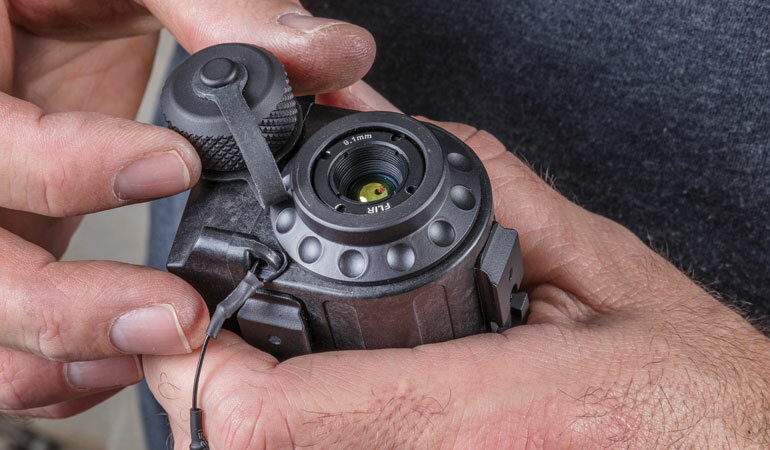 The RQE mount allows the user to put FLIR’s Breach on one side of the mount over one eye and a monocular NVG like a PVS-14 over the other eye. 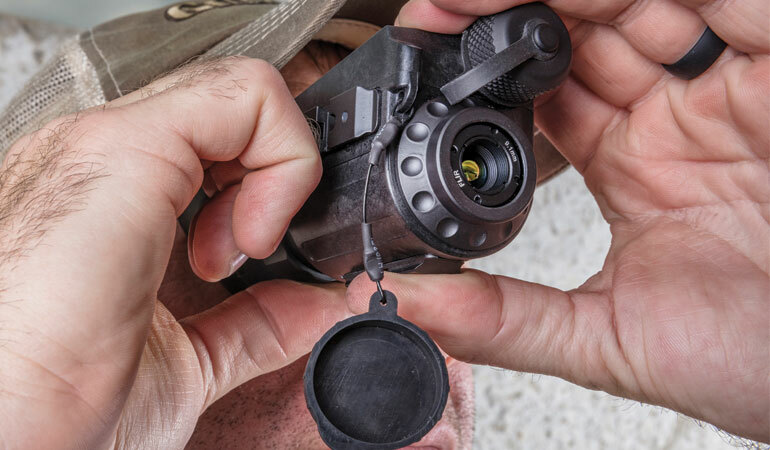 This set up gives the wearer both thermal and NVG capability without being stupidly expense like a fused image. 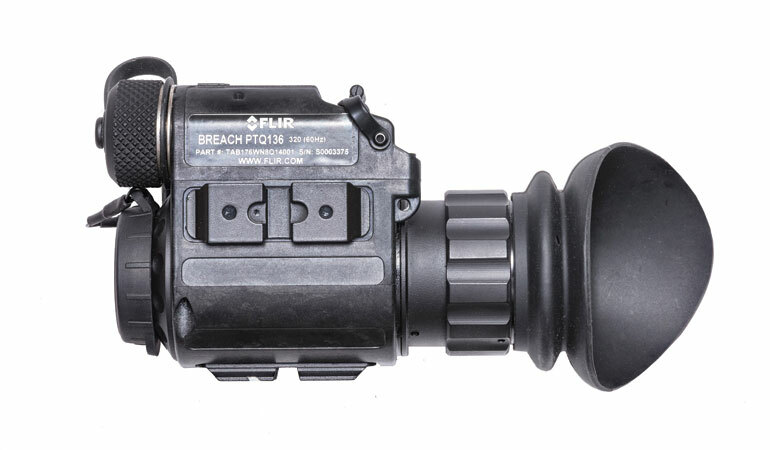 I would use the unit to search for and identify targets like hogs and then the NVG would be used in conjunction with an IR laser to shoot accurately. When not on the helmet, the Breach would see use for everything from looking for lost pets to seeing where heat is leaking out of or coming into my house. 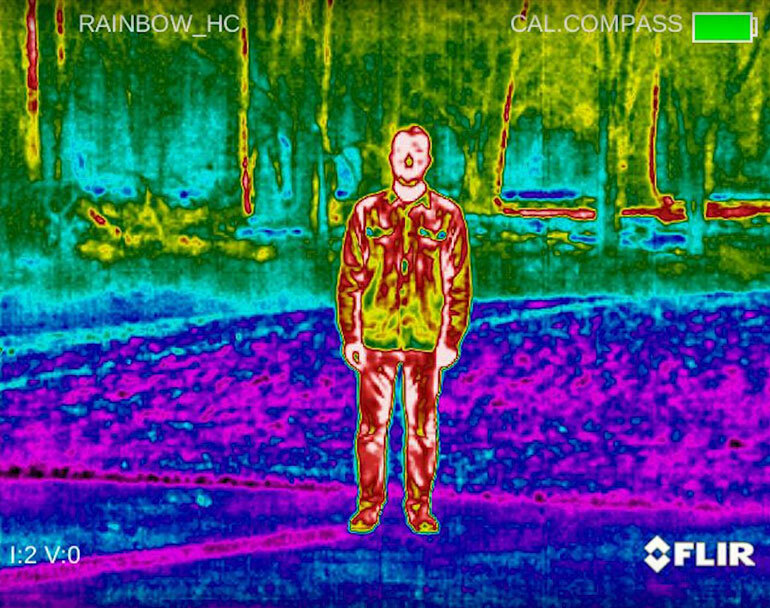 With a reasonable retail price and the ability to use as either handheld or helmet-mounted, the Breach is the most useful thermal device I’ve seen to date.